I want to congratulate you for being named the new Inspector General of Police. I want to believe that fate has been kind to you, by coming first in the criteria used in appointing the new IGP. The feelers around are also confirming that your appointment is well deserved considering your experience and competence. Please accept my hearty congratulations once again. Let me also use this medium to commend our service men and women for ensuring protection of lives and properties in Nigeria. Like I always say, no matter the reservation anyone has for the Nigerian Police, without any of our officers on ground, lives will be “brutish, nasty and short” in the words of Thomas Hobbes. Sir, you have taken over the goodwill and liability of the Nigerian Police Force. I can only wish you an emphatic success in office as your success or otherwise will have a serious impact on the ordinary people on the street and the country as a whole. As you settle down sir, I urge you to be professional and write your name in gold by giving us the new police Nigerians are craving for in order for the police to gain the trust of the society. As a concerned human rights lawyer, my team of over 50 lawyers over the years has received plethora of calls for help from numerous Nigerians daily on our ‘Know Your Rights Nigeria” platform. Over 70 percent of complaints received nationwide bothered on human rights issues involving the Nigerian police. I am also aware of many other platforms in Nigeria providing probono legal services in this regard. Nigeria is yearning for the right leader in the Police who can lead the force to the happiness of ordinary people on the street. We earnestly hope you can be the one we have been patiently waiting to celebrate locally and globally. Permit me to call your attention to human rights issues begging for your prompt action in Nigeria. It would be great in your own tenure, if you can look at issues of torture, indiscriminate arrests and extortion of people, abuse of the use of firearms, unjustifiable use of force, brutality, among others. The effect of the violations of human rights of the people is the gradual erosion of public confidence. For the Nigerian police to engender trust and encourage the reporting of crimes, thus contributing to more effective crime fighting and enhancement of justice, safeguarding the fundamental rights of all citizens is required. As a result, I urge you to set up effective human rights desk to be manned by qualified personnel in all police stations, commands and zonal commands nationwide in Nigeria with the mandate to attend to cases of human rights abuses. While there should be a working mechanism in place to honour officers who have been killed on the lines of duty, the welfare and special promotions for dedicated officers who have done us proud should not be monetized or politicized. 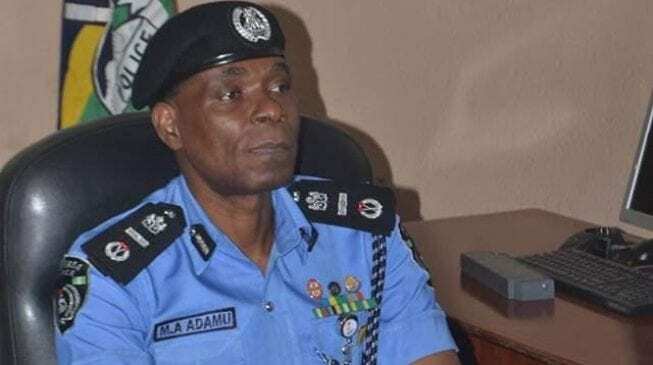 Sir, you must have heard about one Superintendent Julius Adedeji, a dedicated police officer from Ekiti State Police Command who was decorated at the U.S Consulate General Lagos last year (2018) for his enviable human rights records in the course of duty as a police officer and also named by the British Broadcasting Corporation (BBC) as incorruptible police officer. Nigerians took to the social and traditional media to celebrate this feat but regrettably, the NPF ignored one of its own (the officer) and his feats without any congratulatory message or with any special reward for bringing such honour to the force as published by the Leadership Newspapers on May 7, 2018. Again, training is also very vital in all human activities. If our police are better trained, they will serve the public better and Nigerians will have confidence in them. If these aforementioned are judiciously looked into by you, I am confident that we shall see a change in the mannerism and behaviour pattern of our officers and men. As you resume office, I call for human rights based approach to policing and ensuring that the Nigerian Police actions are in accordance with the fundamental principles for the development of a fair and just society. You have promised all Nigerians a professional and impartial police as we approach the 2019 general elections, I hope and pray that your tenure will improve the country’s human rights records. Please accept the assurance of my highest regards.